A disorder which is illustrated by extensive musculoskeletal pain followed by sleep, fatigue, mood and memory issues. Lots of symptoms are associated with Fibromyalgia. Therefore, it is a very tricky disease to cure. Drugs and Medications are strictly observed and watched by the doctor to further avoid the difficulties. For instance, without the physician prescription, using certain drug could worsen your disease. Likelihood is associated with these drugs that they could treat one indication but might worsen other. In addition, some medicines can respond harmfully in your body. Because of this issue, herbal supplements are recommended. Alternatively, Herbal medicines are a way of treating illness and pain symptoms. By the use of natural supplements, you may suppress the effects and symptoms of pain in the body. Before the modern chemical medication’s invention and discovery, herbs were the only options through ages by many cultures. – Herbal supplements have less negative effects in comparison with other chemical drugs treatment. Herbs are God gifted and present in nature. Because they are natural products, they possess less side-effect than other conventional drugs because drugs are not present in nature, they are prepared chemically and artificially to maintain our health. – Herbal supplements are cheap than other treatments. Currently, this is a very clear and worthy statement and connected with the above point which is that herbs are natural,therefore, they are present abundantly. Furthermore, these preparations need lesser chemical ingredients and preparations. – Herbal supplements might cure a lot of symptoms. These remedies work surprisingly not only for curing symptoms also for keeping health better. For instance, the ginseng herb which doesn’t only increase your stamina and energy,in addition it also eases your pressure and makes your body clean by removing toxins. – Herbal supplements are also considered as body-friendly. These supplements work great with your body. Therefore, it enhances and assists your body to cure at its own. Among many best ways,utilizing herbs in the form of tea is the best technique. What you will need to make a tea is two teaspoons dried herbs plus one cup of boiled water as an ingredients. Let the herbs to be dissolved in the water completely for around 10 minutes. – Echinacea: It is an herb used to enhance the immune system; strengthens the body beside viral and bacterial infections or issues. – Meadowsweet or Black Cohosh: This herb will help to ease rigidity and joint ache. – Milk thistle: This will protect your liver. – Chamomile: This herb can relieves muscle tension. – Prickly ash or Ginger:It will improve blood circulation. – Jamaican dogwood, Skullcap, Valerian or Passion flower: These are helpful in relieving pain, anxiety and depression; improves relaxing sleep. 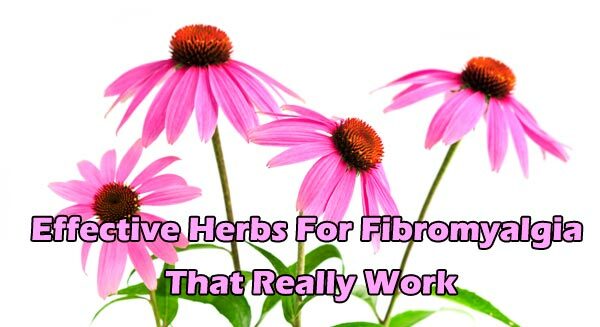 External herbal remedies are also utilized to treat fibromyalgia and they also work as an internal medicine. This is the reason because medicinal components are capable of going into your body from the skin. Though, the dissimilarity here is that these herbal remedies are able to bring you more instant help. Those patients who are suffering from disease, insomnia may desire to attempt this remedy. Herbal remedy includes: in cheesecloth, enfold one scrap of chamomile and one scrap of lavender. Whilst you are sopping in a bath, let these herbs to in combination soak with you. In a way to boost circulation and eliminate any kind of toxins from human body by the help of sweating, you can use the above mentioned formula however with rosemary and peppermint instead of lavender and chamomile. One more option is to join four scraps of ginger powder to the running water bath of yours so this herb will be easily dissolved. A helpful topical remedy, Cayenne powder contains capsicum, which is able to block the human brain from producing chemicals which causes pain sensations. Easily, you can create a poultice by adding hot water to the powder to generate a paste. Use a small quantity of oil to the skin. Further give application of poultice takes place.Prior to washing it away, leave this paste on for around 20 minutes. This Cayenne may also combine with wintergreen oil in the ratio of 1:3 to calm down your pain and improve your body blood circulation. Fibromyalgia is a very complicated disease and hard to diagnose, and you might discover that a number of doctors will not offer that analysis at any cost. The problems and symptoms with this situation are very solid to supervise, however there are a few points that can assist. There are a few lifestyle differences that can assist, and here may also present few Fibromyalgia Chinese herbs which may assist a few with the disorder feel improved and find more relax. Different physicians and doctors have very small options when keeping in mind to treat Fibromyalgia condition. It happens, because it is frequently omitted over, or the objections of the patients are not considered seriously. In the way of prescriptions only few things can be done or considered, although some wish to recommend pain pills, sleeping pills, arthritic, or anti-depressants medications. Such medications can effort with unreliable degrees of achievement for different patients, however not everybody will find help. Now in this situation, it is helpful to move towards other sources for assist and Chinese herbs among others may be the first choice. I have found that Ashwagahnda and Rhodiola have helped immensely with my anxiety, depression and pain. I have noticed a boost in my energy when I take them. I take them each 2 times a day. I would love to find fibromyalgia support groups. Friends and family members try but will NEVER really understand how hard it is to be in pain every single day. How hard it is to ask your children not to touch mommy on the really bad days. Today was one of those days and I can’t even begin to describe how horrible I felt. How badly I feel when I have to change things around constantly and how disappointed I feel for disappointing others.